Do you have a red X on your hand today? It’s End It Movement’s Shine a Light on Slavery Day. The concept is for you to draw a red X on your hand and then go about your day. As you encounter people in the workplace, the marketplace and in the community, the hope is they will ask about the X and provide the opportunity for you to share about the issue of modern day slavery. What should you share? Share what you know. It is always means more when people share how this issue has impacted them instead of just rattling off statistics. What if you don’t know much about the issue of human trafficking? How can you better educate yourself? Well, you’ve obviously landed here, at the Rescuing Hope website, which has a wealth of information available to you at your fingertips. We invite you to take some time and familiarize yourself with the resources we’ve provided for you as a starting point. The first stop we recommend is our RESOURCES page. On it you’ll find some informational flyers we have created to not only help educate you, but for you to print out and to share with others. We also have a great list of books, documentaries and movies you can view to learn more about the issue. It’s impossible to share what you don’t have, so take the time to educate yourself on the issue and then share what you’ve learned. That’s step one in raising awareness. The next stop we recommend is our BE THE KEY page. You’ll learn of ways you can volunteer with Rescuing Hope. While telling people about the issue is step one in engaging in the fight, doing something- putting action to your words – is step two. If Rescuing Hope isn’t working in the areas of the fight that interest you, that’s cool. Find somewhere else to plug in and be a part of the solution. We are all fighting the same evil so whether you’re volunteering with Rescuing Hope, Out of Darkness, or Street Grace, we’re on the same team. We have made it easy for you by providing links to several human trafficking organizations we like working with so you can access their websites easily. Take some time to visit each of them and see how they’re fighting the issue and learn ways you can volunteer. 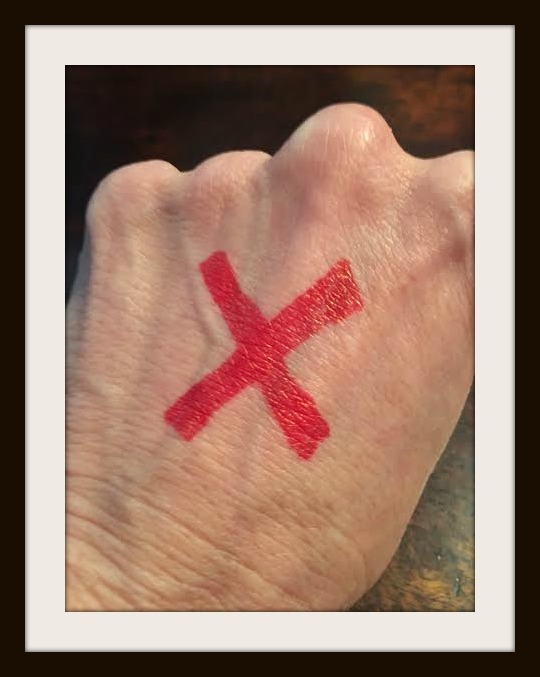 Don’t let today just be about drawing a red X on your hand to shine a light on the issue of human trafficking; let it be the day you started doing something about the issue of human trafficking. Take the step. Get involved. Be the Key!